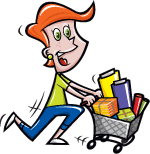 With this item you will earn 370.74 Points in Homespun Rewards! 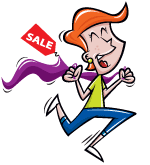 Wondering what to give mom this year? How about a cross between a wall hanging and a photo album? 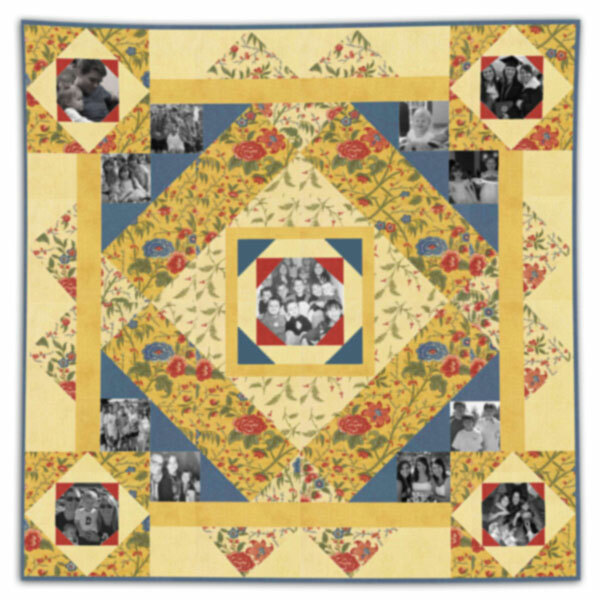 This is a remake from our 2007 Gma' Loves quilt, and this time we updated it with larger images as well as focal center image. This is the perfect design for a Mother's Day Wall Album! Our mother has a total of 38 grandchildren and great-grandchildren, and the wallhanging is sure to hang in a place-of-honor in her home. Measuring 44" square, and featuring Moda's Lillies of the Field fabric by Jan Patek, this quilt displays 13 of your favorite pictures. The four corner pictures are 5" square finished, the eight surrounding squares are 4" finished, and the single center square is 6" finished. With easy-to-print Inkjet cotton, for our version we printed black and white images, but you can print in color if you prefer. 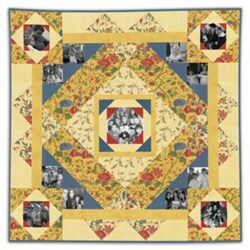 The kit includes all of the fabric included to make the quilt as shown (except you print and use your own pictures! ), as well as binding, easy-to-follow instructions, and 8 inkjet fabric sheets. Optional coordinating backing is also available. Liam the Lucky Leprechaun Got Away Again This Year! But, He left Behind his Pot-o-Golden Fabric! 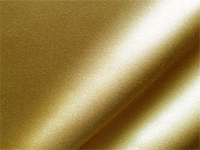 Enter and you could win a variety of 10 yards golden fabric, or 1 of 10 metallic golden Fat Quarters!